Seattle is known for its soggy weather, but this past winter pushed the limits and broke major rainfall records. 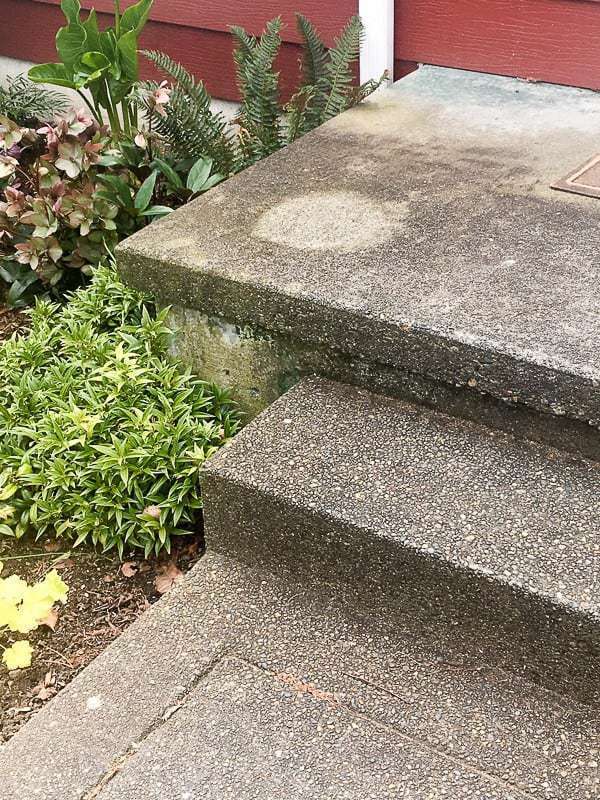 Our north-facing front steps took the brunt of the abuse, leaving it looking sad and neglected. 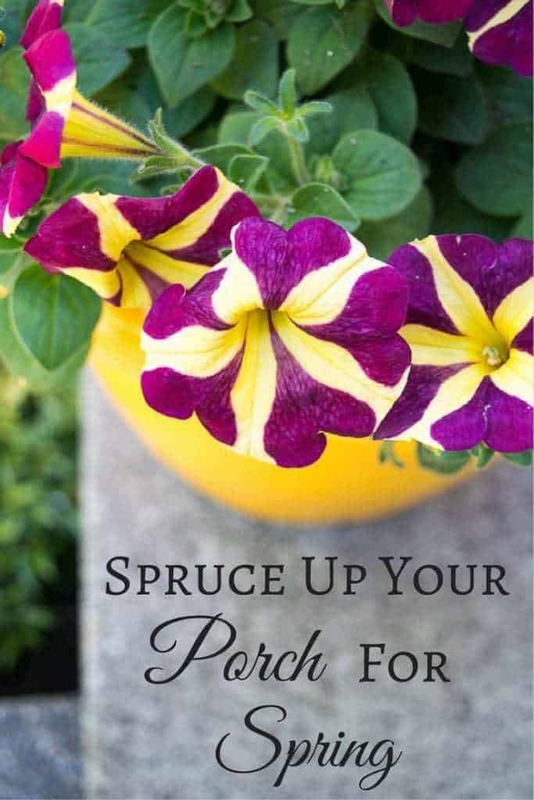 This week, the sun finally emerged, and I’m rushing to spruce up our porch for spring. 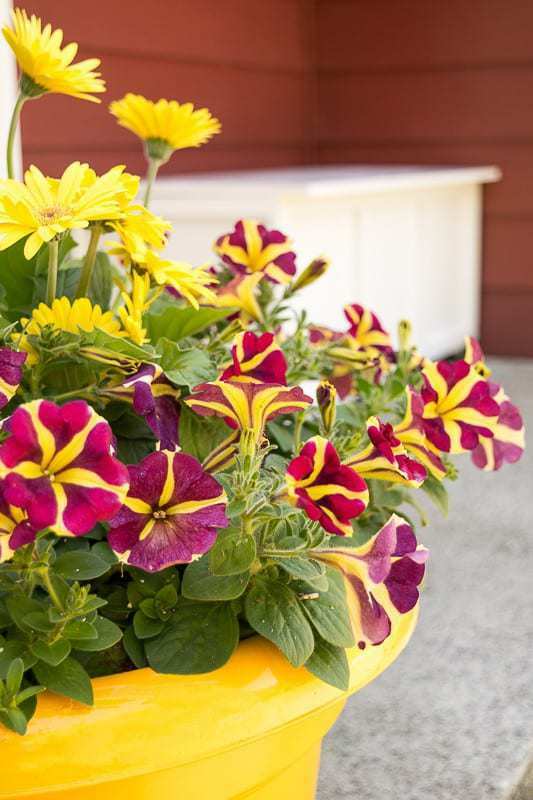 With a little help from some spray paint, the power washer, and colorful flowers from Monrovia, I created a bright and cheerful entryway with major curb appeal! This post is sponsored by Monrovia and contains affiliate links for your convenience. For more information about how you can support this site at no cost to you, please visit my disclosures page. I had a lot of work to do to help this front porch recover from a brutal winter. 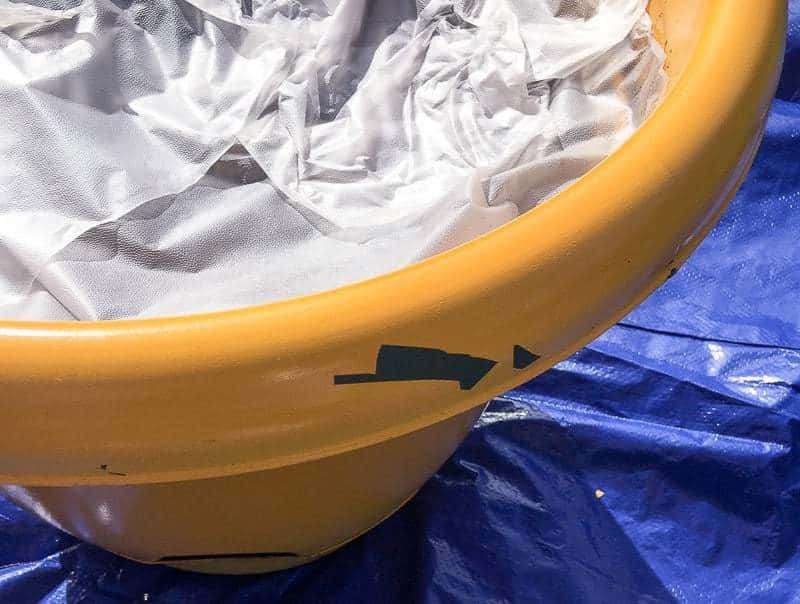 The bright yellow planter that adorns the front corner had chipped paint. The steps were slimy and dark with mildew. Even the welcome mat wasn’t very welcoming anymore. Not exactly the sight you want guests to see when they come to visit! Last year, I bought a large self-watering pot and spray painted it bright yellow to coordinate with the French mailbox we picked up in Paris. Over time, it developed a few scratches and chips, showing the dark green plastic beneath. I gave the outside of the pot a good cleaning and removed the top eight inches of old soil. The rest was covered with plastic wrap to protect it from the paint. All the scratches and chips got a quick hit of spray paint, and the pot was good as new! 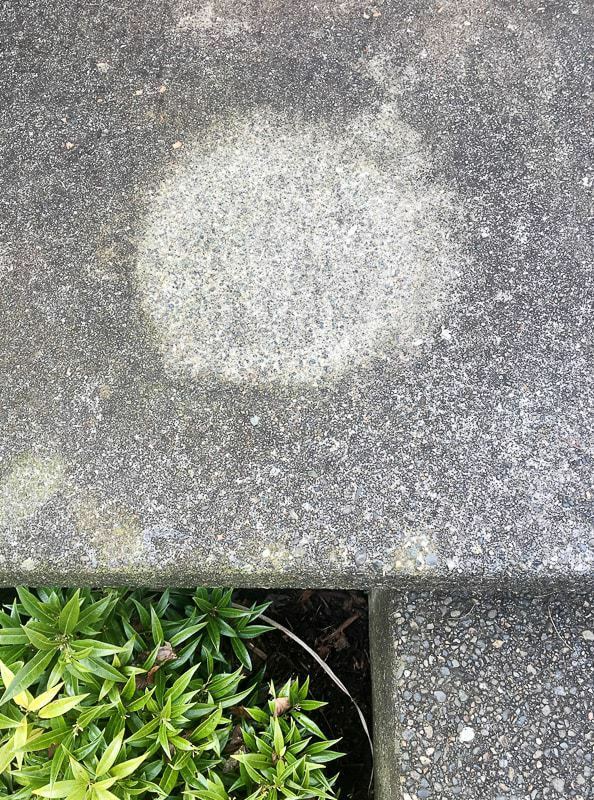 While the paint was drying, I turned my attention to the front steps. You can see exactly where the pot had been sitting all winter, surrounded by mildew. So gross! 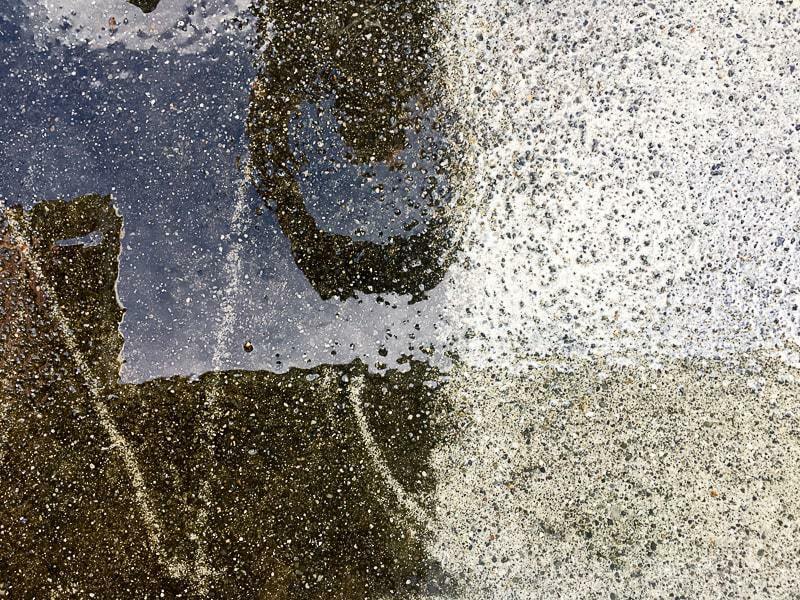 I sprayed down the entire porch with plant-safe outdoor cleaner and let it soak while I hooked up the pressure washer. This is my favorite outdoor tool, and it’s quite satisfying to see all that gunk erased with a powerful stream of water! Ahhh, so much better! Goodbye, slime! 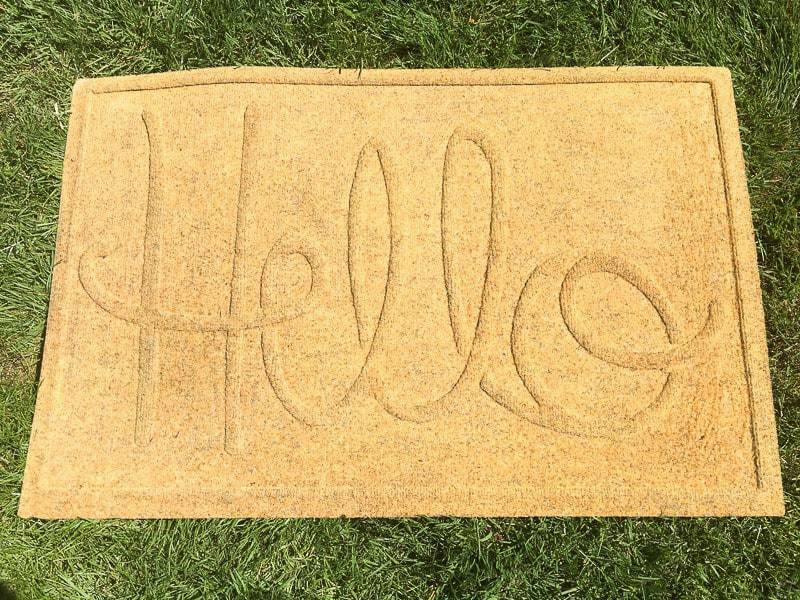 Even our yellow doormat got a bath. 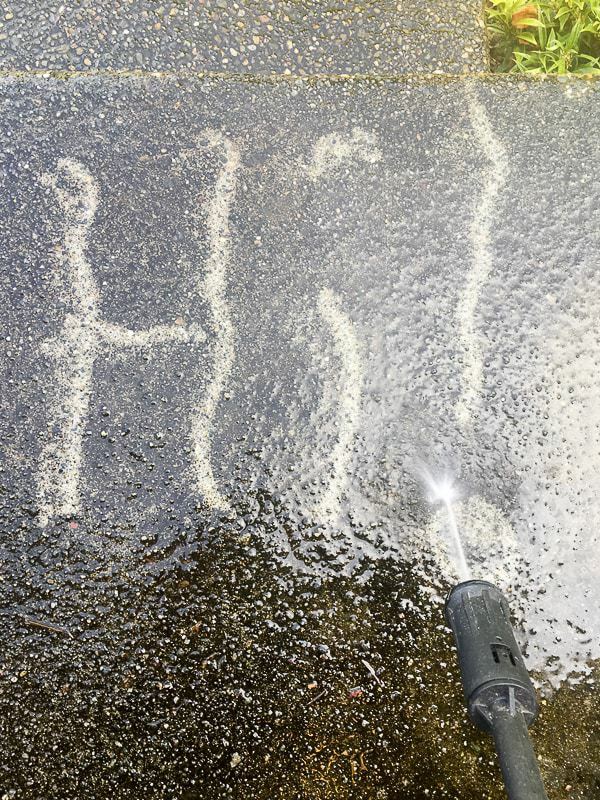 The power washer lifted up all the mud buried in the fibers and made it look like new again! With all the maintenance out of the way, it was time to spruce up the front porch with new plants! 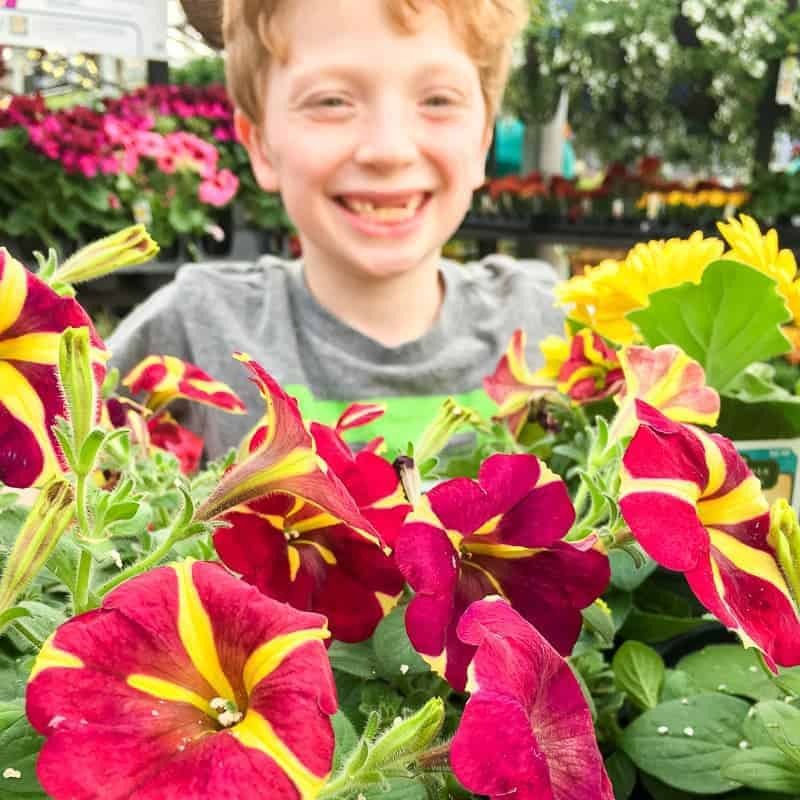 My son loves picking out flowers (he even has his own container garden on the back deck), so he was happy to come along to Lowe’s to help me choose. 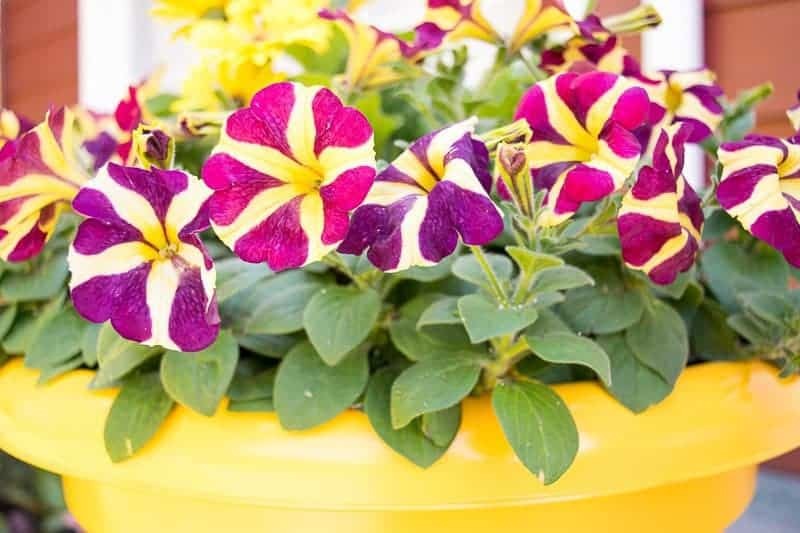 We soon filled our cart with these gorgeous bi-colored petunias and bright yellow gerber daisies. 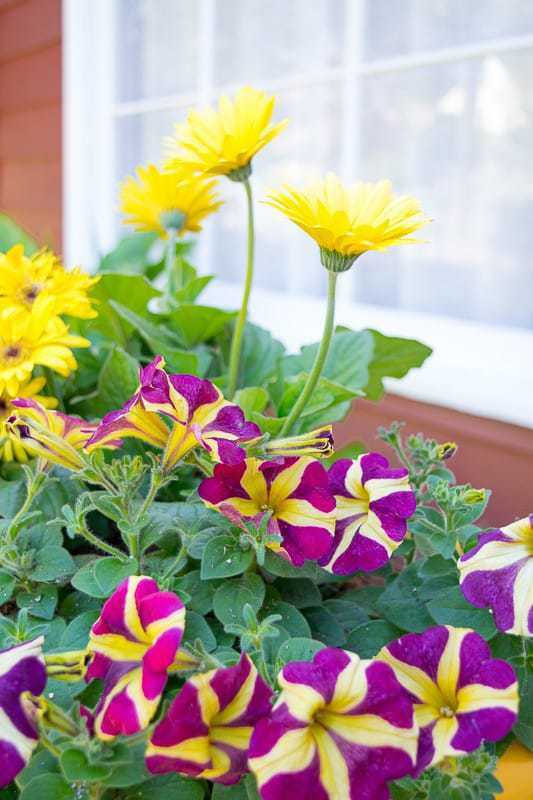 Monrovia makes it easy to choose the best flowers for your container garden. 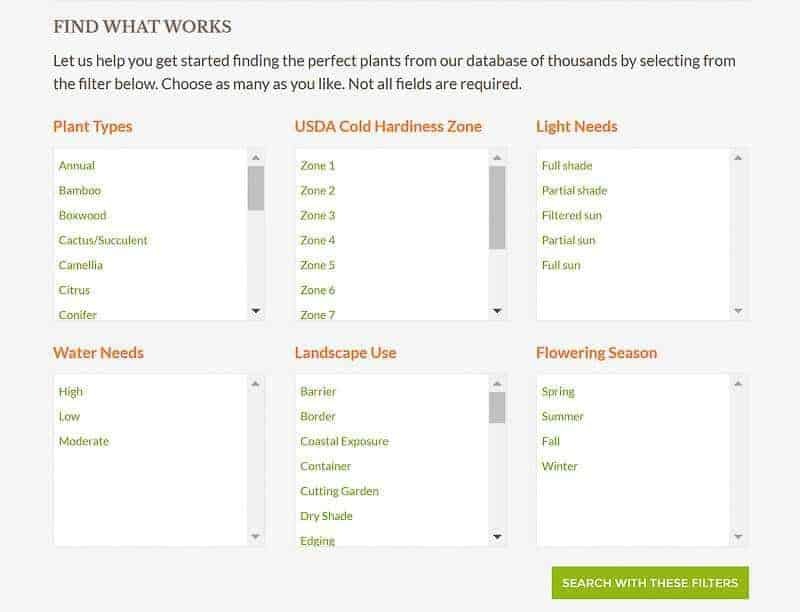 Search their plant catalog to narrow down your choices so you don’t get overwhelmed by all the gorgeous options! Start by selecting “Container” under “Landscape Use”, then filter by region and sunlight requirements. In the Advanced Options menu, you can reduce your list even further. 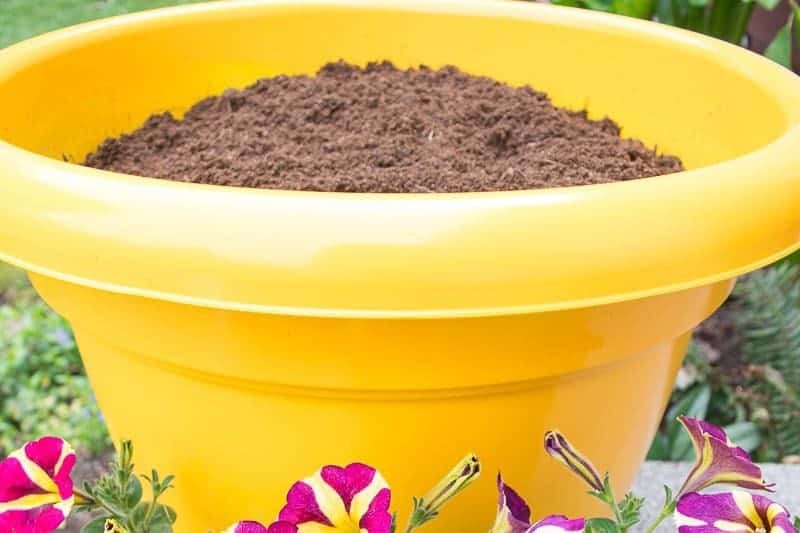 Search by color, garden style or deer resistant varieties to discover the ideal flowers for your container garden! Pick out your favorites, then order them online and Monrovia will ship them for free to your neighborhood nursery. I’ve ordered plants online from other companies before, and they arrive in a cardboard box, half dead and mangled from getting tossed around the delivery truck! Monrovia’s plants are delivered to the nursery along with the others to be set out for sale, so you know they’ll be healthy and ready to plant! 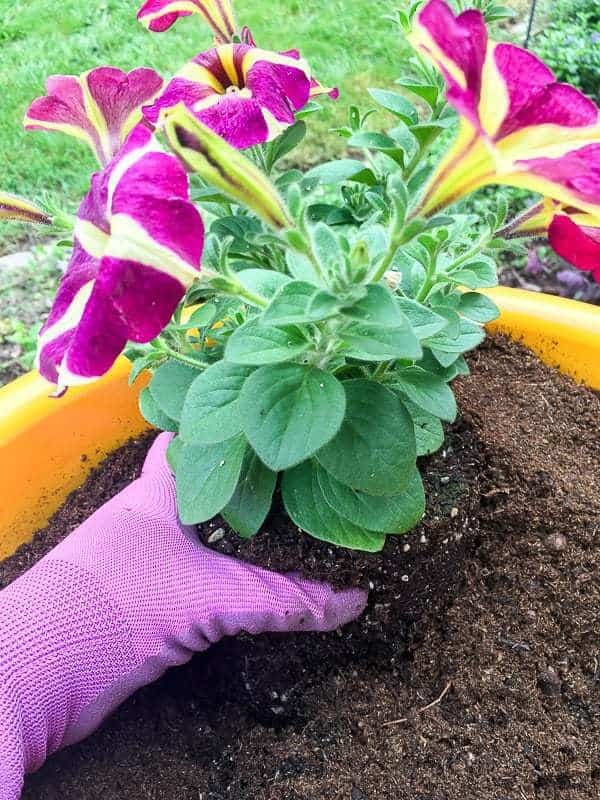 I added a few inches of fresh potting soil to the planter, then started filling in the edges with these pink and yellow petunias. Over time, they’ll cascade over the edge of the pot for an elegant waterfall of color! In the middle, I planted the gerber daisies. 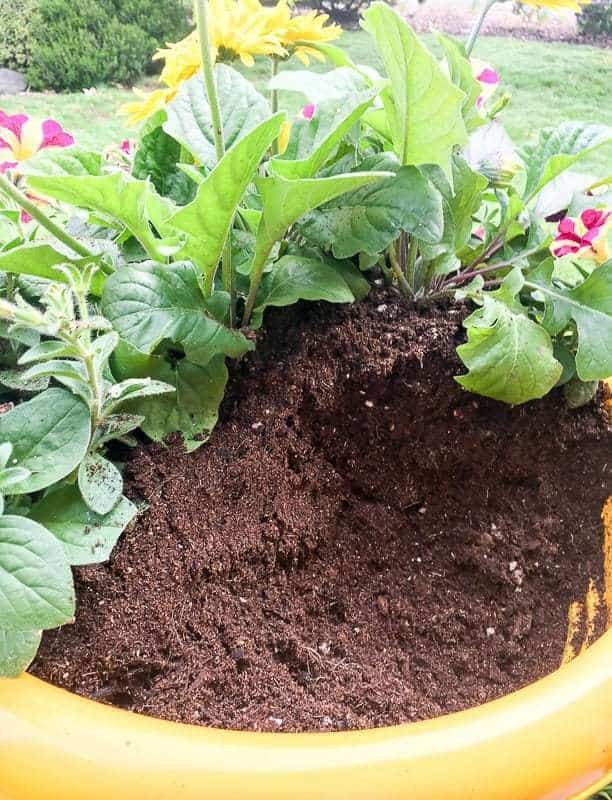 I created a little mound of dirt in the center, so they would rise above the petunias. The back of this planter doesn’t get much sun, so I decided to fill it in with more potting soil instead. 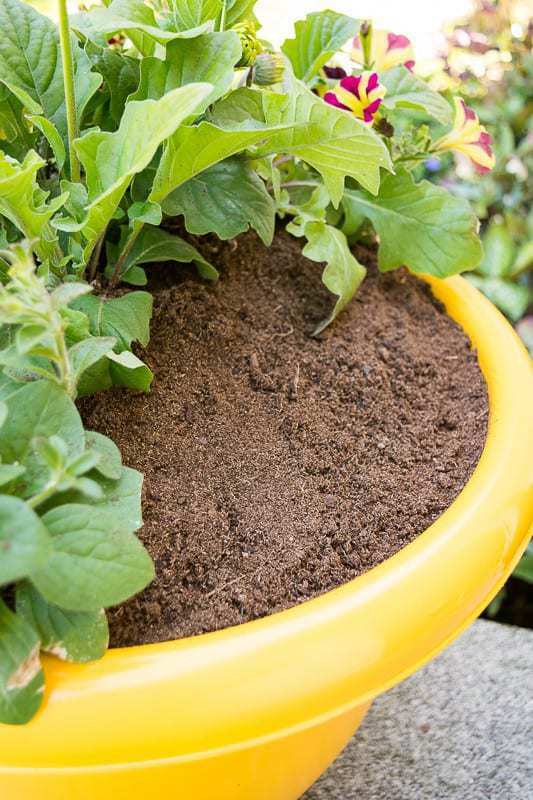 The extra soil behind the daisies will also help keep them at their higher elevation. What a difference! In just a few hours, I transformed our sad, neglected front porch into a bright and cheerful space. No mildew here! Just bright colors! 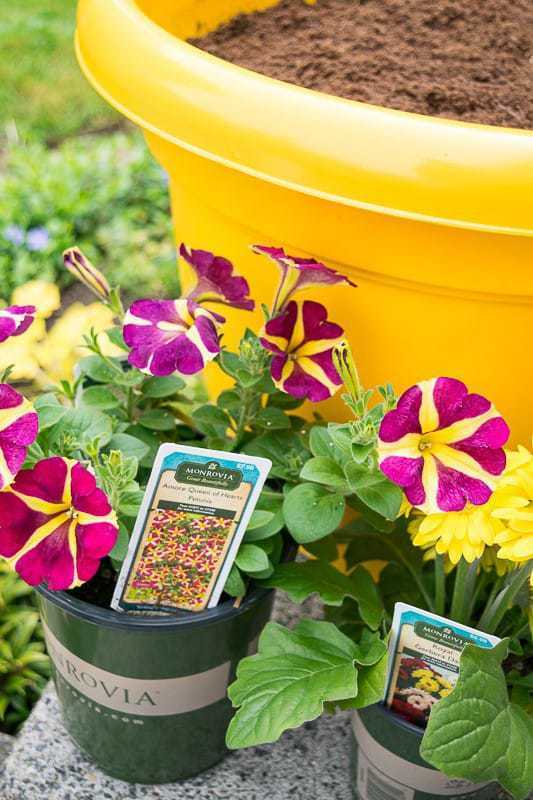 Give your own container garden a burst of color with Monrovia, and Grow Beautifully! If you would like to keep up to date with my latest posts about gardening, outdoor projects and more, you can follow me on Facebook, Pinterest, or Instagram. You can also sign up for my email list below! Great post! I love the way you spend time on this beautiful flower <3 I hope you are having fun with them! The porch looks so pretty with the bright yellow. It sure does say welcome. Love the colors you chose! What a beautiful project. It looks really lively! It certainly welcomes spring by displaying the bright yellow color!!! Love it! This is just completely beautiful. I am updating our master bedroom in a little Jamaican style and this would rock our little private balcony. Love it. Found you on Tada Thursday.